Learn how to register your automobile, trailer, boat, snowmobile or ATV. Use our Excise Tax Estimator to get an idea of the amount of Excise Tax you should expect to pay. 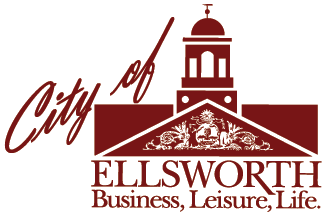 The City of Ellsworth offers online renewal of your motor vehicle registration and to pay your local excise tax in one simple transaction. You should receive your new registration certificate and stickers within 7 business days. If your registration will expire within 7 days, and you are planning to travel out-of-state with your vehicle, you may wish to renew your registration in person at your municipal office. Re-registrations may also be processed at a motor vehicle branch office, after payment of excise tax has been made at your municipality.To use this service, you will need your current vehicle registration, your insurance card, your vehicle’s current mileage and a printer. Visit the Vehicle & Trailer Registration Renewal Service to register your vehicle or trailer online. Residents have the option of paying the excise tax at City Hall and completing the re-registration process at the Department of Motor Vehicle, or completing the entire process at City Hall for an additional $3.00 fee. When completing just the excise portion at City Hall you will need to bring the old registration form for the vehicle/trailer. If you would like to complete the entire process at City Hall you will need to bring the old registration form, the current insurance card, and the current mileage for the vehicle/trailer you wish to register. Residents will need to pay the excise tax on the new vehicle/trailer at City Hall. You will then complete the registration process at the Department of Motor Vehicles. Residents have the option of paying the excise tax at City Hall and completing the registration process at the Department of Motor Vehicle, or completing the entire process at City Hall for an additional $4.00 fee. When completing just the excise portion at City Hall you will need to bring the old registration form for the vehicle/trailer you wish to transfer plates from, along with the paperwork for the new vehicle. If you would like to complete the entire process at City Hall you will need to bring the old registration form for the vehicle/trailer you wish to transfer plates from, the current insurance card for the new vehicle, and the current mileage for the vehicle you wish to register. For your convenience, we have provided an Excise Tax Estimator. This tool is designed to give you an idea of the amount of your Excise Tax. The actual amount may be different. Initial registration of boats must be done at City Hall through the City Clerk’s Office. Renewals can be done at City Hall or by visiting the Boat Registration Renewal Online Service. Initial registration of snowmobiles and ATVs must be done at City Hall through the City Clerk’s Office. Renewals can be done at City Hall or by visiting the ATV & Snowmobile Registration Renewal Online Service.